We now have a third headset on the way from Oculus. At Oculus Connect 4, Mark Zuckerberg announced that Oculus is working a new headset that sits in a “sweet spot” somewhere between Gear VR and Rift. 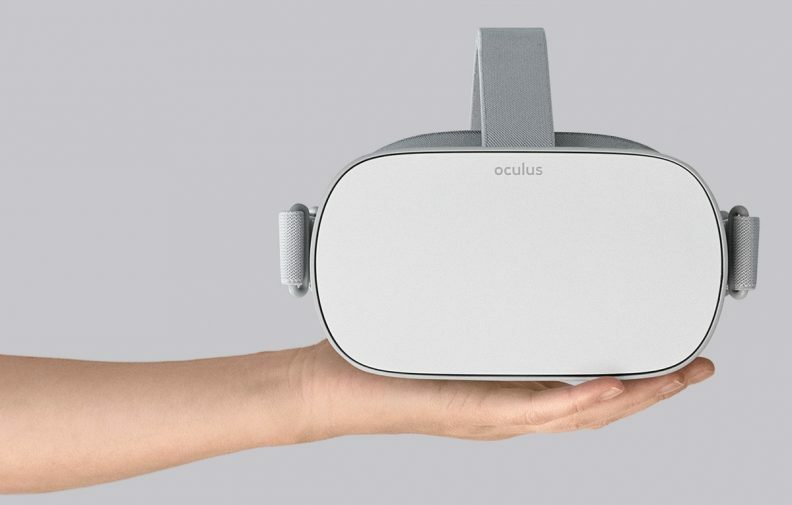 Officially called Oculus Go, this headset requires no phone and no cables running to the PC. 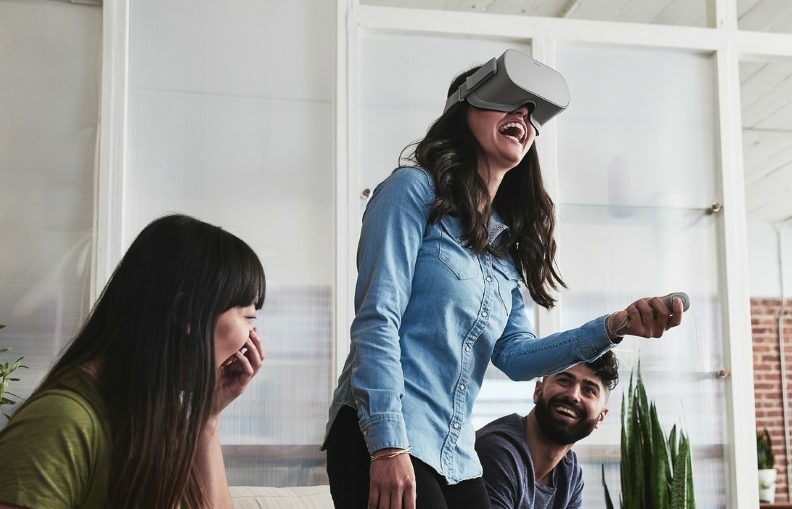 It will be able to play movies, run games, and help you meet up with friends in VR. We’ve got the details for you here! 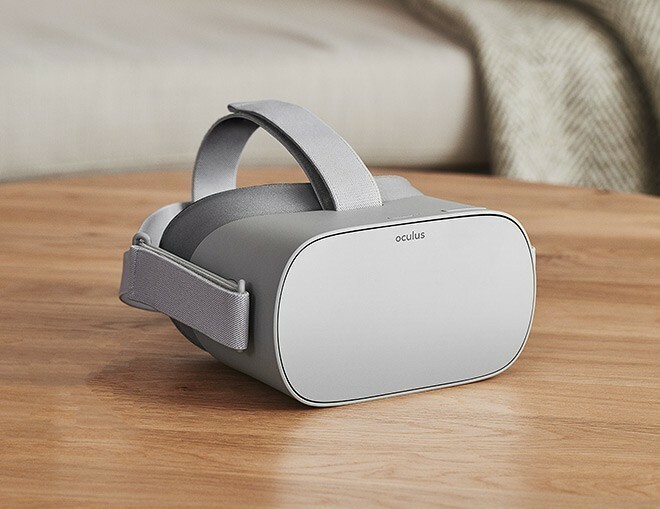 Oculus Go is the third headset from Oculus, and it’s meant to sit between Gear VR and Oculus Rift. A cordless headset, you’ll no longer have to strap in at your PC, or have enough juice on your phone in order to play in VR. Oculus says this headset lives somewhere in between the Gear VR and Oculus Rift, but it leans much closer to the Gear VR than you might expect. This is a standalone headset, meaning the computer is inside the headset with the display, but it’s still an Android-powered headset. The good news is this means it will run many of the apps currently available for the Gear VR. That means the headset will not let you walk around and do much. Functionally, this will be very similar to the Gear VR. 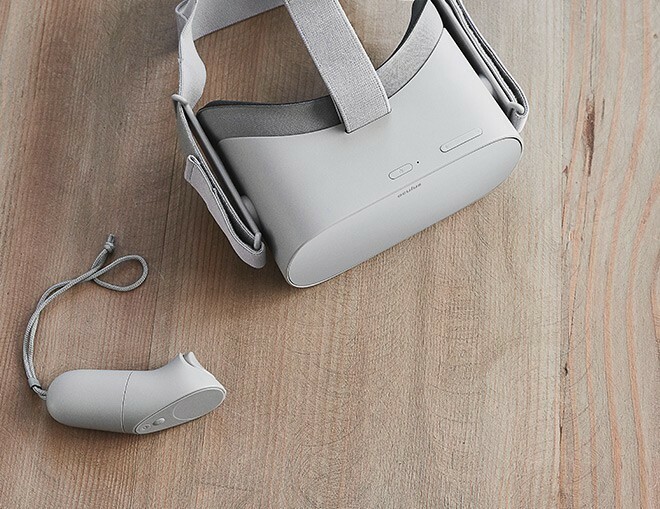 To begin with, Oculus Go is a stand-alone headset. This means no need to be wired into your computer like Oculus Rift, or the need for a top of the line phone like with Gear VR. It’s a middle of the road option that is priced affordably in an effort to draw in new users to help Oculus reach their goal of one billion VR users. Instead of including headphones with the headset, a spatial audio experience is built right into the headset. That is spatial speakers that are built on the rails of the headset to let you hear what’s going on clearly without headphones. Of course, if you’d rather go with classic headphones, you can plug a set of your own into a 3.5mm jack. Oculus Go will have a controller similar to that of Gear VR, meaning devs can create apps that work on both platforms. Indeed, a lot of the Gear VR’s best apps will be available for the Oculus Go from day one. The controller employs three degrees of freedom (DoF), which is the same as the Gear VR controller. It’s interesting to note that the Go headset will also use three DoF. To put that into perspective, the Oculus Rift uses six DoF. Oculus Go will also have access to its own catalog of games and apps to dive into on launch day. While ports of Gear VR games are sure to show up, you’ll be getting access to new content with Oculus Go. From the photos we’ve seen of Oculus Go, there is also a fairly pared down look compared to Gear VR. No touchpad on the side of the headset, and only two buttons on the top; volume controls, and a power button. For the time being, we don’t have a solid release date. This headset was announced at Oculus 4 in October of 2017 with the goal of an early 2018 launch. We haven’t heard anything about a release date quite yet, but hopefully, that will be changing soon. While we don’t have an exact launch date yet, we do know how much Oculus Go is going to cost. You’ll be able to pick up this standalone headset for a tidy sum of $199. Considering Gear VR alone costs $129.99 and requires a top of the line smartphone, this is pretty exciting news! For now we don’t have a ton of information about everything that Oculus Go will be able to offer, but that should be changing soon. However, the details we do have are definitely worth getting excited about, especially since this is a stand-alone headset, with an affordable price tag. Are you excited about Oculus Go, or are you sticking with another Oculus headset? Let us know about it in the comments below! This article was originally published by androidcentral.